Looking to get into budgeting? We’re here to help you get started! There are tons of budgeting tools and methods out there to keep expenditures in check on everything from groceries to gas. And better yet, there are different levels of budgeting. If you’re worried about using too complicated of a budgeting system, try the envelope or 52 weeks saving methods. Or if you’re OK with digging in a little deeper to your finances, give the 50/20/30 system or 60% solution a whirl. We’ve put together our top simple budget methods below — take a look and try one that looks right for you! This a great budget to start with if the thought of breaking down every dollar you spend sounds overwhelming! You can even use this handy 50/20/30 calculator to help set your budgeting goals. The envelope method is pretty much what it sounds like: You keep cash in a number of envelopes, each of which is designated for a specific spending category (e.g. groceries, gas, car payments, etc.). Now, this does take some planning ahead, as you’ll have to budget out what you expect to spend per category per month. Once you’ve set your spending amounts, withdraw the cash needed and set up your envelopes for your month. This method is a good way to keep yourself from overspending — once the money is gone from the envelope, that’s it! 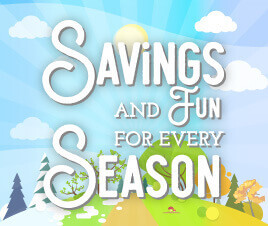 Saving doesn’t get much simpler than this! While the 52-week method is more savings-based than budget-focused, it does require slight alterations to your weekly spending. Here’s the gist: Every week of the year, you will set aside a dollar amount. The week number determines the amount you set aside. So, week one, you set aside $1. Week 32, you set aside $32. Easy enough, right? 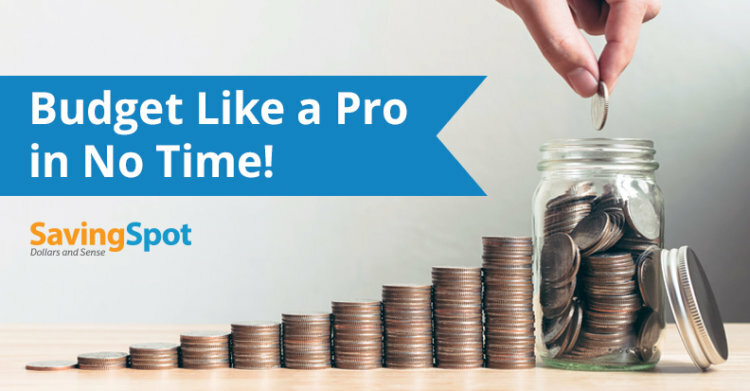 If you stick to the plan, by year’s end you’ll have saved $1,378! Similar to the 50/20/30 system, the 60% budgeting method relies on percentages rather than solid dollar amounts — a plus for anyone wanting to avoid serious mathematics! With this system, 60% of your income goes to committed expenses. This differs from the “fixed costs” in the 50/20/30 method in that all of your bills fall under committed expenses. So things like cable, cell phone, internet, Netflix, Hulu and Spotify are all included in that 60%. 10% Short-Term Savings — This money should go towards things like surprise expenses, vacations and any “big” purchases you need to make. 10% Long-Term Savings — This is money that should go into a strict “savings-only” account. 10% Retirement — This money goes towards your retirement funds (401k) and Roth IRA). 10% Spend Where You Want — This is the money you get to spend on what you want, not need! Think clothes, meals out, etc. This budget system is perfect for those of us who tend to spend more than we should and tell ourselves that we’ll make it up later! Why? Because this method accounts for every single dollar of your monthly income (hence the “zero-sum” name). You’ll need to tally what you make and what you spend each month. Then go through and assign amounts for every expense: rent/mortgage, car payments, utilities, savings account, a set amount of spending money, etc. This way, the total amount of money you bring in equals the total amount you “spend” each month. There’s no temptation to spend extra since you won’t have extra funds — every dollar is accounted for! If lots of math threatens to give you a headache or worse, turn you off of budgeting completely, give this method a try. It’s simple subtraction and addition. Step One: Add up all of your bills for an average month of spending. Step Two: Subtract that total from your monthly income. Step Three. Subtract an additional amount from the income leftover after step two for savings. Step Four: The amount remaining is what you get to spend on nonessentials. If you’re not sure how much you should be subtracting for savings, go 50/50. So, if you have $300 left after paying your bills (step two), split that in half. That gives $150 to put into savings and $150 to spend as you want. Prefer to keep track of your expenses digitally? Windows offers free Excel budgeting sheets (though you will need to own Excel in order to download)! We like the wide variety of templates that are offered — there are general budgeting sheets like the simple expense budget and detailed family budget, as well as more specific ones like this college budget. There’s even a handy budget calculator. If you want a more hands-on approach to your budgeting, try any one of these printable budget sheets. There’s a variety of styles and details to choose from including everything from weekly to yearly budget planning! The best part about these printed budgets is that you can hang them up where you’ll see them often, like in your kitchen or by your desk — it’ll help remind you to stay on track to save!